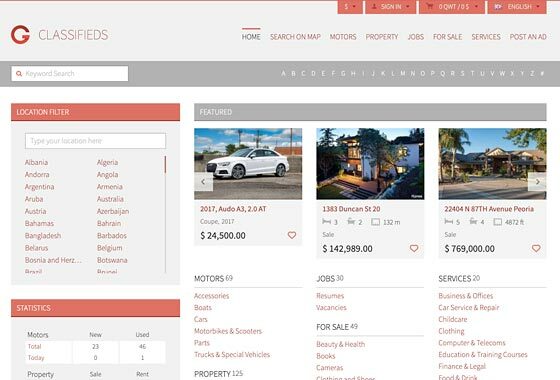 Classifieds Software for Professional Websites! Our classifieds software offers SEO friendly urls, canonical and social meta tags, sharing, and ability to generate meta description, keywords and titles of ads with field values. Flynax comes with 82 powerful plugins to boost basic functionality of the software, installation of a plugin is done with one click from back end, and takes a minute. 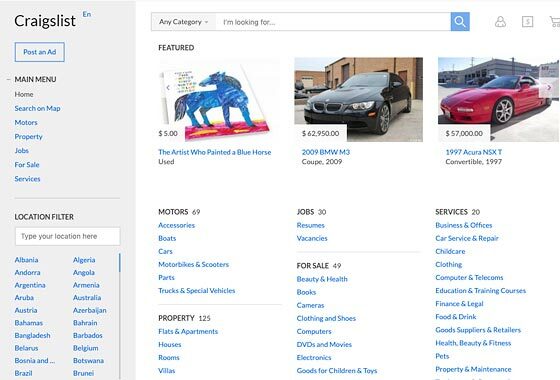 Flynax is a turnkey classifieds solution coming with the most wanted and useful features and a dozen of pre-integrated payment gateways that you can configure from admin panel. 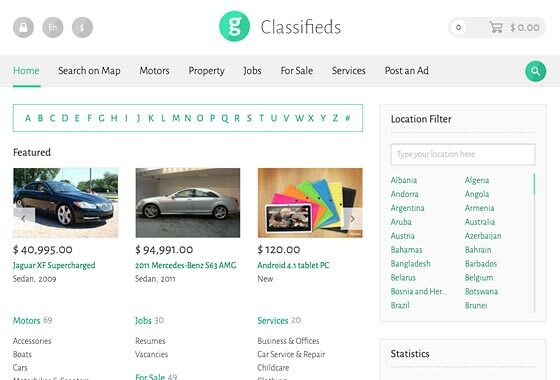 We offer a number of various plugins that will add even more features and functions to your classifieds site. Ability to add html, swf and image banners coupled with geo targeting makes the Banners a powerful add-on for generating extra income. 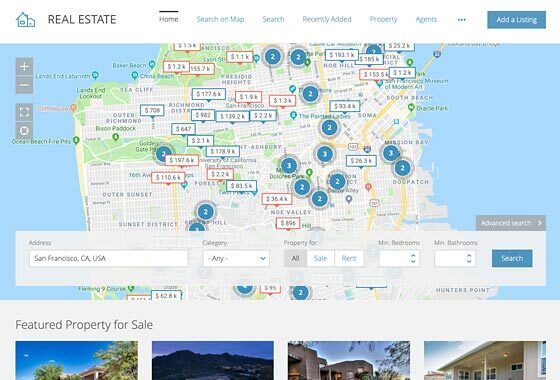 Allows users to add a few ads to a list and compare them in one table and easily overcome difficulty of deciding on a proper item to buy or rent. 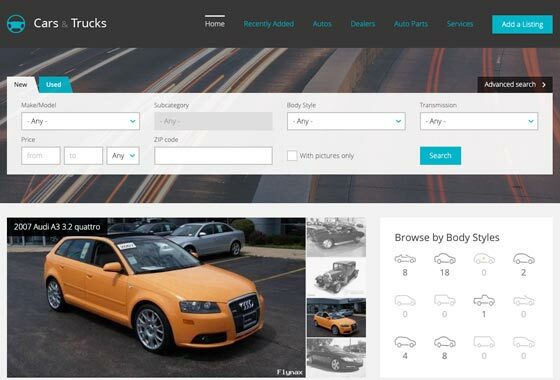 One of the most oftenly used add-ons offering slider and range selectors, and allowing users to filter ads in categories and search results. Even if a user doesn't have an account with your site he can easily create one with his Facebook details without going through registration. Unlimited by distance and time and designed to run on one of the most solid operating systems, iFlynax presents a reliable and advanced mobile Application for Apple mobile devices loading data from your classifieds site with a speed of a lightning due to already compiled and pre-loaded interface of the Application, and allowing them to post ads with their iPhones, iPods and iPads. 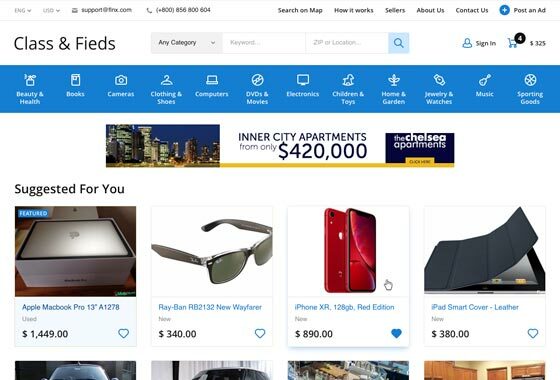 Built with an insight into Android and classified ads FlyDroid is designed to bring genuine experience of Android environment and unrivaled flexibility and freedom of our classifieds software to your users. Let your users post ads, upload pictures and videos, purchase packages etc with their mobile devices on the go enjoying new features of FlyDroid with every update. Sign up for our newsletters and stay updated about the latest news and special offers.